Russia's telecommunications operator MTS has completed the Voice over LTE (VoLTE) call on a telco cloud infrastructure using Nokia’s technology. The end-to-end testing was successfully conducted in the operator’s live LTE network with user devices. New York, USA – April 16, 2014 - Nokia Solutions and Networks and the NYU WIRELESS Research Center at the New York University Polytechnic School of Engineering are jointly organizing the first Brooklyn 5G Summit, held April 23-25 in Brooklyn, New York. A recent report from Nokia Solutions and Networks, on mobile broadband performance in India, reveals a 87% rise in data traffic generated by 2G and 3G services during 2013. According to the NSN’s MBit Index, 3G data traffic increased by 146% where as 2G data traffic grew by 59% over the same period. 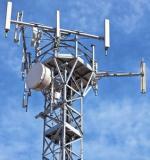 Wireless operator Taiwan Mobile has selected Nokia Solutions and Networks to roll-out of its multi-band LTE network. NSN will also deploy LTE-Advanced Carrier Aggregation technology to increase bandwidth and network performance by combining the 700 MHz and 1800 MHz spectrum bands. Australia's Optus and Nokia Solutions and Networks have attained an aggregate downlink of 1.7 gigabits per second (Gbps) from a single site on the operator’s live network using commercially available NSN equipment. Nokia Solutions and Networks is extending its Flexi Zone architecture to cover all deployment scenarios. Software-based hot zone controller runs on macro sites to support nearby small cells. Nokia Solutions and Networks has announced six enhancements for its Single RAN (radio access network) Advanced portfolio to help operators simplify their radio access networks and management functions. Broadcom Corporation, Nokia Solutions and Networks (NSN) have demonstrated LTE Advanced (LTE-A) carrier aggregation Category 6 (Cat 6) data rates of 300 Mbps on a live commercial network of Finnish operator Elisa. Nokia Solutions and Networks and US operator Sprint will demonstrate 2.6 Gbps throughput over a single sector at Mobile World Congress 2014 using its commercially available Flexi Multiradio 10 Base Station. NSN is demonstrating a new coordinated multi-cell scheduling approach, a coordinated scheduling feature for FDD-LTE and TD-LTE networks to reduce interference between adjacent base stations, at MWC. Nokia Solutions and Networks has successfully completed an extensive set of test cases for Voice over LTE (VoLTE) in China Mobile’s (CMCC) pre-commercial TD-LTE network in Fuzhou. The trials included NSN’s enhanced Single Radio Voice Call Continuity (eSRVCC) solution for a seamless experience and optimized behavior. Finland's wireless operator Elisa has chosen Nokia Solutions and Networks as supplier for its next-generation mobile broadband networks. The contract covers a period of 5 years from 2014 to 2018. TELE Greenland selected Nokia Solutions and Networks as a supplier to implement its 4G LTE network and modernize its existing GSM and 3G networks. Operator has started offering LTE services in capital city of Nuuk. Colombia’s Avantel has selected Nokia Solutions and Networks to supply the complete infrastructure for its LTE network. As part of deal, NSN will provide the complete suite of radio and core network equipments. Russian operator VimpelCom has chosen Nokia Solutions and Networks as vendor for its LTE radio access networks in the central region of Russia, Siberia, South and most of the Volga and Ural regions. Under the five-year agreement, NSN will deliver, install and integrate LTE radio access equipment.